Experience: CEO and founder of Thistle Initiatives Group, which since 2012 has expanded into 5 companies and 80 plus employees. He generally deals with technical regulatory matters involving FCA supervision or enforcement and is a chartered member of CISI. Prior to Thistle, he worked at two of the Big Four accountancy firms. Life outside Thistle: Loves to travel and learn about different cultures. Plays tennis at a competitive level, tries hard at golf but fails miserably, runs ultra-marathons and cycles wherever he can! A supporter of Sunderland AFC. Interesting facts: A welder by trade and his last project was the Angel of the North and played Ice Hockey at a professional level. Experience: Head of Finance, Operations, Company Secretary, Acquisitions and a Consultant. ACCA qualified who specialises in Prudential & Regulatory Reporting. Before joining Thistle in 2013 was a Partner in a multi-disciplinary Accountancy firm. Life outside Thistle: Before litany injuries took their toll was a keen Cricketer and Rugby player. Has now released his inner hippy and loves to tour the UK & Europe in his Campervan with his family (and dog). Never happier than when either up a mountain or cooking breakfast on the beach. Interesting facts: Has a larger than average amount of Neanderthal DNA. 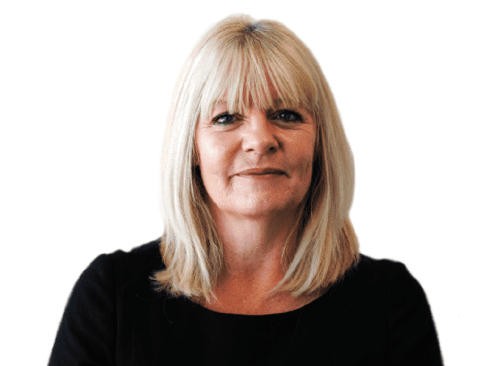 Experience: Managing Director of Thistle’s general insurance, claims and consumer credit division. Over 30 years’ experience in the general insurance sector including 7 years as a commercial insurance underwriter and 11 years in broking, including schemes management, before specialising in compliance. Life outside Thistle: Loves to go camping whatever the weather, enjoys cocktails and foreign capitals – known for her Liverpudlian sense of humour and rooting for the red side of the city. Interesting fact: Nikki is keen on boxing – not watching mind you but taking part. Experience: Over twenty years’ experience of complex financial products. Alex’s experience includes ten years as a proprietary trader covering FI and energy products, from open outcry to screen-based trading. Before joining Thistle, Alex held a front office Compliance Business Analyst role for a multi-asset trading team covering equities, FI, FX, commodities and CFDs. 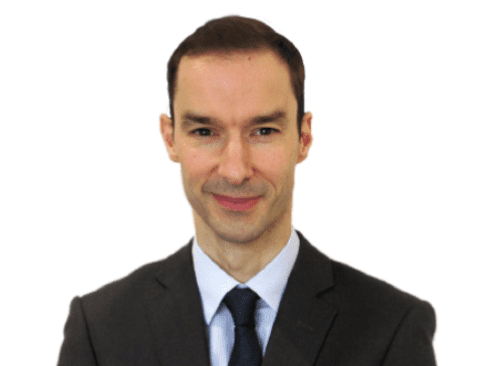 Alex’s specialist areas include investment compliance support, FCA applications for authorisation, variations, enforcement action advice, and financial crime auditing. Experience: Joined Thistle in 2013 leading the Operations and HR functions in addition to the development of IT solutions. 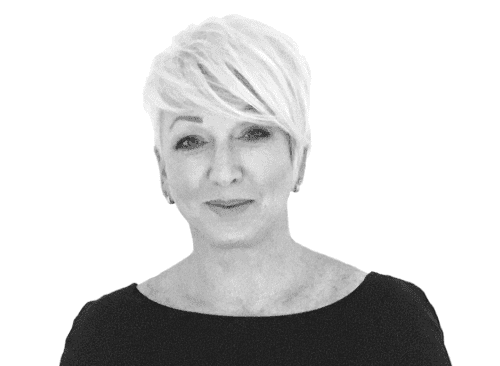 Previous to Thistle, Norma had a long career in insurance working for one of the UK’s largest general insurers with extensive experience of call centre operations, customer support functions and creating solutions for new firms to the industry. Life outside Thistle: Enjoys carp fishing (personal best 23 lb mirror carp! ), spending time with family and friends and relaxing at the end of the day with a good book and large glass of wine. Interesting facts: Car share with Rod Stewart and rode around the Monte Carlo Grand Prix track on a Harley Davidson. Experience: Worked at Thistle for 2 years, expanding the Financial Crime Prevention and Payment Services departments. Her compliance career grew through the insurance sector, most recently within a Lloyd’s of London syndicate. Developed compliance knowledge both practically and academically, recently completing the ICA Diploma in Anti-Money Laundering with a merit. An expert at deducing the most rational solution for clients compliance needs. Life outside Thistle: Keen walker, enjoying weekends in the countryside. Passionate sewer, having tried her hand at everything from dressmaking to heraldic flags. Interesting facts: Had dinner cooked at home by Gennaro Contaldo. Experience: Having been exposed to fintech markets over the last 4 years, Matt has worked with a number of both established and budding firms in the space to support their growth and development, with particular interests in the investments, lending and payments space. Experience: Joined Thistle in 2012 as the company’s first employee which has resulted in experience in many facets of the business. Now the Financial Promotions Senior Manager and heads up all things Knowledge Centre. Recently obtained the CISI Diploma in Investment Compliance. Life outside Thistle: Currently training for her first marathon which she’ll be running in Cape Town. Lives in South Africa and will take any opportunity to spend time in the bush; will take a game drive with a gin and tonic any day! Interesting facts: Represented her province in Action Netball in 2005 and 2006. 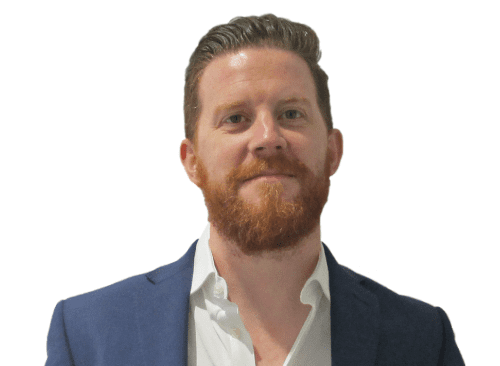 Experience: Worked at Thistle for 4 years, Sales Director for Thistle and Resolution managing all client relationships across investments, fintech and payment services. Prior to Thistle, Investment Banking recruiter for 8 years. Life outside Thistle: Proud mummy of one, I love to cook (rubbish at desserts) and host dinner parties/parties in general! Yoga enthusiast, at my most calm when upside down. Interesting facts: Swam with batfish and turtles at 5.00 a.m. on the Whitsunday Islands, petrified of spiders. Experience: Compliance and Technical Manager at Thistle and Resolution Compliance and has over thirty years’ experience in financial services, including some twenty years in regulatory compliance. 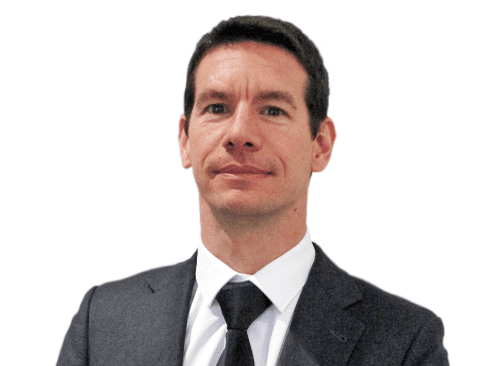 Before joining Thistle in 2012 he was a Compliance Officer for a discretionary portfolio management and pooled fund group and before that worked at the then regulator, the FSA and its predecessor, IMRO. Keith is a fellow of the CISI and of the Institute of Internal Auditors UK and Ireland. Life outside Thistle: Still trying to work out the plot of 2001 A Space Odyssey. Interesting facts: Keith is a Russian speaker and he has visited all of the Baltic states. Experience: Compliance professional with several years’ experience in regulated Financial Services, Banking, Compliance and Risk Management. This includes enterprise regulatory risk assessments, thematic monitoring reviews, compliance monitoring plans, Compliance, FSA investigative analysis and Past Business review. Life outside Thistle: Passionate about sports, a keen snowboarder, footballer and thru-hiker who loves the mountains. Interesting facts: Appeared in the ITV dating show Elimidate, hosted by Kerry Katona, filmed on location in Sun City, South Africa. Experience: Started his carrier in the insurance industry but shortly after discovered his interest in finance and markets. After his masters, he moved onto working at Fidelity Investments as an account/relationship manager before moving into the investments team at Thistle. He started as an associate and has moved onto a senior associate position where he is currently studying for his investment advice diploma. Life outside Thistle: Enjoys the gym on a regular basis, a boxing and MMA fan and regular attendees talks and conferences from political and business leaders. Interesting facts: In another life wanted to be a musician and is an intermediate/expert player of the piano, saxophone, clarinet and drums. Experience: Compliance professional with experience of senior management regulatory support, enterprise regulatory risk assessments, thematic monitoring reviews, compliance monitoring plans, financial crime controls and the production of regulatory management information for Boards and Committees. Prior to Thistle, she worked in central compliance teams, the second line of defence at banks and financial services firms. Life outside Thistle: Passionate about travelling and cooking. Love everything with water (fish, boats, beaches, lakes, rivers). Interesting facts: Met and shook hands with George Bush and Vladimir Putin in an international conference (APEC 2006) while working for the Government of Vietnam. Experience: Legal and financial compliance background, having graduated with a first in law and moving onto one of the Big Four. She has worked on international projects and mergers before finding a passion for financial compliance and Croydon. She is now a Senior Associate on the Fintech team and specialises in equity crowdfunding, peer-to-peer and e-money business models as well as AISP and PISP applications. Life outside Thistle: A keen yoga enthusiast, learning Arabic and is a monstrous food eater. Interesting facts: Can eat a four pack of snickers in approx 2 minutes. 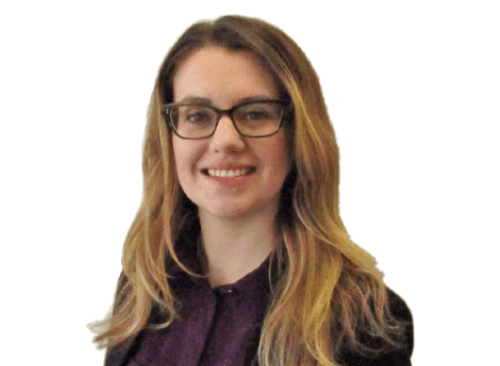 Experience: Upon joining Thistle Group in August 2017, she has worked with the Onboarding Team at Resolution Compliance, a regulated sister company, specialising in FCA applications. She has since switched allegiances and joined the FinTech team at Thistle. 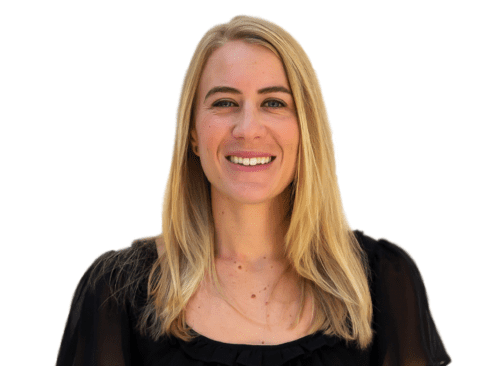 She enjoys working with innovative companies in the e-money, cryptocurrency and blockchain spheres to find compliant and customer-focused solutions. Life outside Thistle: When not trialling new recipes or doing calligraphy and hand lettering at home in London, she can be found escaping to the countryside to enjoy long walks and country pubs. Interesting facts: Once sang with a Baptist choir in New Orleans on MLK day in front of the Mayor. Experience: Has spent her years to this point working in a variety of Financial Institutions starting her career in a well-known UK high street bank moving into FX and investment firms to finding her home at Thistle’s financial crime payment services team. Life outside Thistle: Avid crossfitter, learning one class at a time, enjoying exercise is the key to personal growth. Alongside deadlifting 120kg Nadia enjoys travelling and has set a personal goal to visit all seven modern wonders of the world. Interesting Fact: Nadia has shared a flight with the now Duke and Duchess of Cambridge on a route back from Barbados. Experience: Joined Thistle’s Financial Crime & Payment Services team in Oct 2017. Prior to joining, spent two years in an operations role at a management consultancy company in London. Also spent two years volunteering at his university student newspaper, where he was News Editor. Has an MA in Governance & Corruption and is currently studying a CISI qualification in Combating Financial Crime. Life outside Thistle: Keen video-gamer (especially indie horror games). Board-game enthusiast. Bookworm. Whovian. Struggling to learn French and coding. Long-suffering West Ham United supporter. Interesting facts: Wanted to be a wrestler. Appeared in the background of a Harlem Shake video during a student occupation at university. Experience: Leading the marketing strategy at Thistle since March 2017, Mark joined the company following a move from his native Ireland. An MSc. 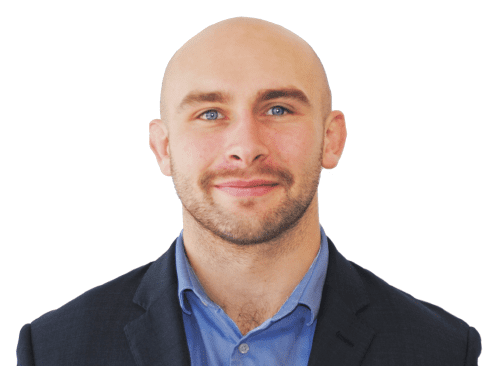 in marketing, graduate from Dublin City University, Mark has been on marketing teams in a wide range of industries such as sports and construction. Life outside Thistle: An avid music fan, Mark normally spends his wages on concert tickets and new vinyl. He has a keen interest in running and is also partial to a flat white and a slice of carrot cake. Interesting fact: Ran the Dublin City Marathon in 2018 and fundraised over €2000 for Irish Motor Neurone Disease Association. Experience: Graphic Designer / Marketing Associate at Thistle and has been with the company since April 2018. He manages the branding and all design tasks as well as assisting the senior marketing associate. Prior to Thistle, he worked for an event management technology company completing a Level 3 Apprenticeship in IT, Software, Web & Telecoms Professionals. Life outside Thistle: A budding musician and known to play the guitar at staff parties. Interesting fact: Wanted to be a chef and has previously worked in a kitchen. Experience: Administrator at Thistle and has been with the company since August 2017. Previous to Thistle, Lilly worked in the logistics department of a company as an administrator arranging deliveries and assisting with the export and import of stock. Life outside Thistle: Interested in different types of music and is constantly singing around the house. Also loves spending time with her family and friends. Interesting Fact: Helped to produce the audio for an animation that was screened at the BFI Future Film Festival. Experience: Joined Thistle Initiatives in March 2015 as an Administrator. Has a keen interest in working with and helping others which led her to develop her career in HR & Operations. Life outside Thistle: Loves everything Italian; culture, history, pizza, pasta and ice cream. Interesting facts: Tried white water rafting, bungee jumping, skydiving and scuba diving but doesn’t consider herself an adrenaline junkie. Experience: 15 years general insurance experience with 12 years working in compliance and 6 years at Thistle. Helen manages the Technical Services Team within the insurance and consumer credit division with a particular focus on regulatory change. Life outside Thistle: A hill walker and cyclist at heart….even if not always in practice. Interesting facts: On occasion can be seen in an orange bib marshalling at the annual Isle of Man TT motorcycle races. 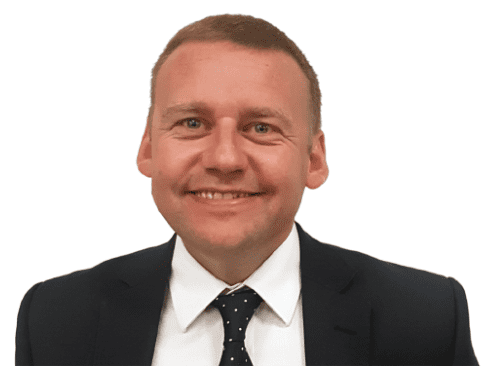 Experience: 20 years general insurance broking and 10 years general insurance compliance experience; joined UKGI/Thistle Initiatives in December 2016 and enjoy bringing compliance alive. Life outside Thistle: Ballroom and Latin American Dancing and being with the family. Experience: 25 years general insurance broking and 15 years general insurance compliance experience, spent the last 11 years in a consultancy role at UKGI and Thistle Initiatives. A fellow of the Chartered Insurance Institute and a Chartered Insurance Practitioner. Aims to make compliance understandable, relevant and a discipline which supports businesses. Life outside Thistle: Passionate about wildlife and nature conservation. Interesting facts: A Norwich City fan living in Ipswich! Experience: Spent the last 16 years in the insurance industry in various capacities and have been with Thistle since UKGI was acquired. Loves the diverse challenges that every day brings and the satisfaction of helping colleagues and the business strive to be the best they can be. Life outside Thistle: When not being dragged around by her German Shepherd, she likes to indulge her artistic side either playing the piano, painting or getting creative with some other weird and wonderful medium. Interesting facts: Can wiggle her ears, touch her nose with her tongue and gets hiccups every day. Experience: Started his career in the legal sector but soon discovered his interest in financial compliance. After university, he worked at the Financial Ombudsman service as a complaints adjudicator before moving into the front line of insurance brokerage. As a compliance director, he has overseen all aspects of operating a directly authorised SME in the general insurance sector. He has developed an expertise in designing, implementing and monitoring Governance and Compliance Frameworks that is supportive of growth and lasting consumer relations. Life outside Thistle: Enjoys walks and hikes, particularly travelling and visiting new corners of the world. Interesting facts: Drinks a lot of coffee. Experience: I have worked in various adminstration support roles over the last 25 years which have included supervisory and managerial experience, for the last 5 years I have worked as an administrator at Thistle Initiatives with a specific focus on membership services and organising workshops. Life outside Thistle: Spending times with friends, BBQ’s with my friend Jack (Daniels), I enjoy movies and crime dramas and I’m the owner of two very naughty indoor cats. Interesting facts: I’m ambidextrous and write any words forwards and backwards simultaneously! Experience: 28 years working in general insurance, with the last 20 years in general insurance compliance. Has worked for UKGI/Thistle for 5 years in total, originally as part of the field team and now in the Insurance and Consumer Credit Technical Services team. Life Outside Thistle: A keen walker and foreign holiday taker, sometimes with the whole family and sometimes without for complete relaxation. With over 40 years in the General Insurance sector, Russell has experience in various roles from customer support and training to regulatory compliance. As a compliance and technical consultant, Russell assists firms with regulatory compliance queries and applying working knowledge in areas such as rules and guidance in SYSC, SUP, FIT, PRIN, ICOBS, and TC. Used to play Golf and Chess but since the granddaughters arrived does not have the time. For his sins, he is an avid Arsenal supporter and hopes one day to see them back where they should be – at the top of the league. Experience: Technical Compliance Manager at Thistle who has been with the company since November 2017. She works as part of the Compliance Technical Support Team based in the Warrington office, covering helpline, document checking and financial review services amongst others. 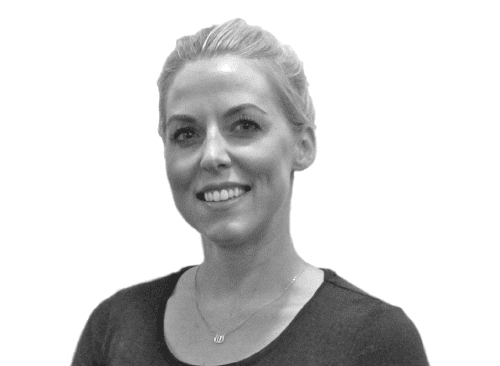 Pippa is a management graduate with an ICA Diploma in Compliance. Previously, Pippa worked for 18 years at N Brown Group as a Compliance Manager. Life outside Thistle: Busy working mother of two teenagers who likes walking her dog when (and if) she has time! Interesting Fact: Likes to attend Retro 80’s Festivals. 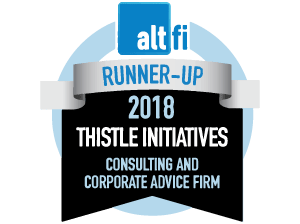 Experience: Joined Thistle Initiatives in 2016 as a field consultant within the general insurance and consumer credit division delivering consultancy to firms in the south. Has a wealth of experience in implementing pragmatic and effective compliance frameworks within a variety of firms. Endeavours to bring a fresh perspective to compliance, aiming to make regulation and compliance more accessible to a business. Life outside Thistle: When not enthralled in his PS4, spends his time exploring new places with his dog. Interesting facts: Currently teaching himself Japanese. Experience: Joined UKGI/Thistle in 2012, with previous compliance experience within the mortgage and general insurance arenas since 2006. Has a down to earth approach and enjoys working with firms to create workable compliance solutions. Life outside Thistle: A West Ham widow, mum of ‘threenager’ Thomas and soon to be mum of a new baby girl, she is a wannabe Barbara from The Goodlife (although her husband would prefer her to be more like Margot). You’ll often find her outside in a pair of wellies attempting to grow various produce or foraging/scrumping in the local countryside. Interesting facts: Claude Littner recently liked a tweet she wrote. Experience: Worked in financial services (banking) since 1980. Financial advice, mortgages and insurance-related compliance roles since 2000. Joined UKGI (now Thistle Insurance and Consumer Credit Division) in May 2012. Specialist in FCA Rules and Guidance with significant experience in the analysis and implementation of legislation and regulation, making compliance ‘live and breathe’. Life outside Thistle: Musician, drummer in a rock band and will watch almost any sport, drinks almost any beer and plays anything that he can hit or that has strings on it. Enjoys watching and playing live music. Interesting facts: Born in Nigeria, once played football with Bill Shankly, recently played a gig at a rock festival in Ibiza. Experience: Technical Associate at Thistle who has been with the company since September 2018. She works as part of the Compliance Technical Support Team based in the Warrington office, covering Helpline and document checking services amongst others. Previously employed for 8 years in the compliance department of an insurance intermediary. Life outside Thistle: Owner of 3 ponies.